Little, Brown Books for Young Readers, 9780316208161, 40pp. From bestselling author Nina Laden and bestselling illustrator Renata Liwska comes an enchanting, imaginative story for fans of They All Saw a Cat. Does a feather remember it once was a bird? Does a book remember it once was a word? A boy is swept away to a world where fantasy and reality come together in surprising and playful ways. From the cake that once was grain to the ocean that once was rain, whimsical before and after scenes offer readers a peek at the world as seen through the eyes of a curious child. Nina Laden's poetic and cleverly woven text is perfectly paired with artist Renata Liwska's captivating illustrations. 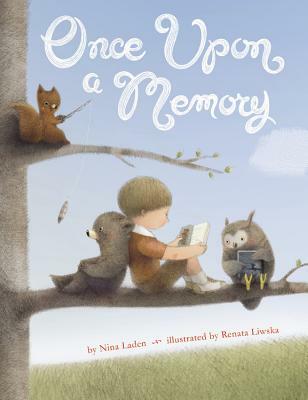 Nina Laden is an award-winning, bestselling children's book author and illustrator. She grew up in the New York City area, the daughter of two artists, and received a BFA from Syracuse University's College of Visual and Performing Arts. She has over a dozen books in print including Peek-A Who?, The Night I Followed the Dog, When Pigasso Met Mootisse, and Roberto: The Insect Architect. Renata Liwska has been drawing for as long as she can remember. Her old schoolbooks overflowed with sketches, and the children's book illustrations she creates today are influenced by memories from her childhood. She is the illustrator of the New York Times bestsellers The Quiet Book and The Loud Book!, and she is the author and illustrator of Little Panda and The Red Wagon. Originally from Warsaw, Poland, Renata now lives in Calgary.